Enjoy the added comfort and safety of an Essential Medical Supply Shower Bench. This Shower Bench features a Rust-resistant, Satin finished anodized aluminum frame with textured seat and back for added safety. Non-slip rubber feet and drainage holes in the legs to prevent water build up. 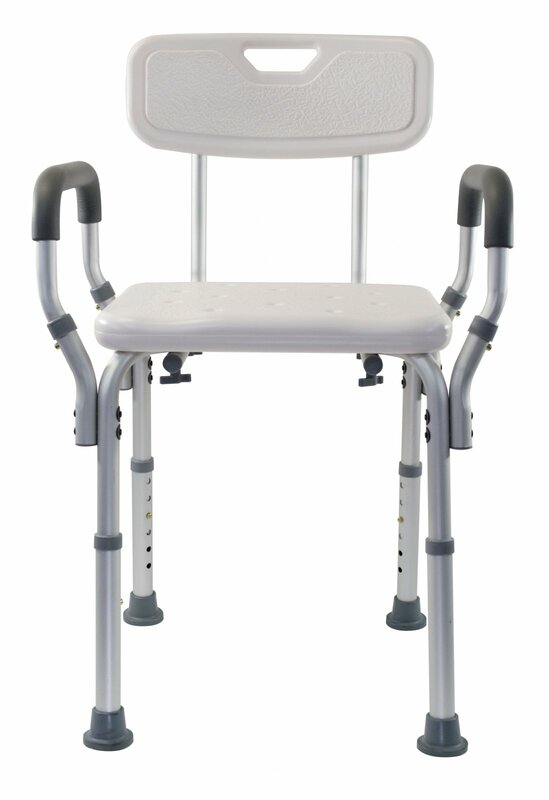 Height adjustable and will support users up to 300 lbs. Height Adjust: 16.25" - 20.25"